Jingle bells Jingle Bells.. Jingle, oh jee het is alweer bijna kerst! Nog op zoek naar een kerstcadeau of -relatiegeschenk? 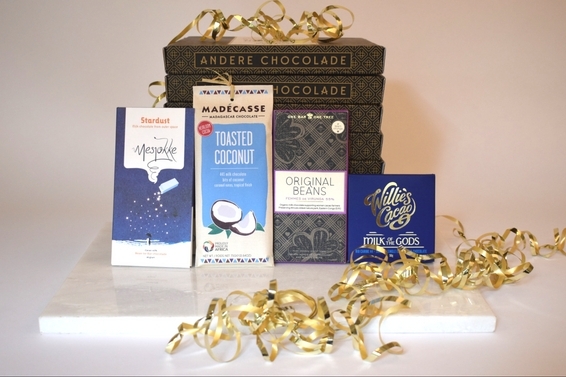 Verras je werknemers/collega’s/klanten/partners/jezelf deze kerst met een Andere Chocolade kerstpakket. 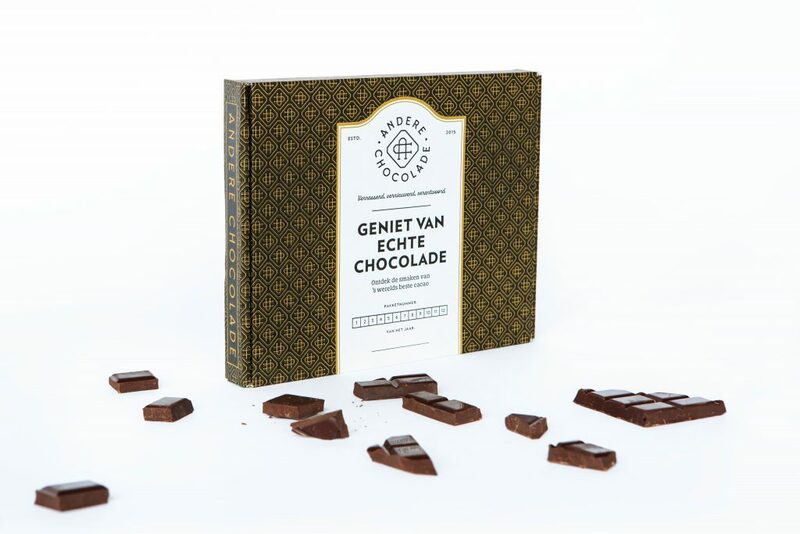 bevat de heerlijkste chocolade, bean-to-bar gemaakt en met zorg samengesteld door chocoladecurator Siebrigje Dijk. kan direct naar de gelukkige worden verstuurd (per brievenbuspost), of per pakketpost naar eigen (kantoor)adres. wordt verstuurd in een stevig en chique doosje. bevat optioneel een kaartje met een handgeschreven (kerst)boodschap. In het verleden hebben wij al voor verschillende bedrijven en overheidsinstellingen pakketten mogen samenstellen, waaronder: Provincie Fryslân, Gemeente Weststellingwerf, Gemeente Leeuwarden, Inqubator Leeuwarden, Innovatiepact Fryslân, Deltec, RTF Beheer, Bureau Vuurkracht en PIT Concept & Copy.. en wellicht dit jaar voor jou? 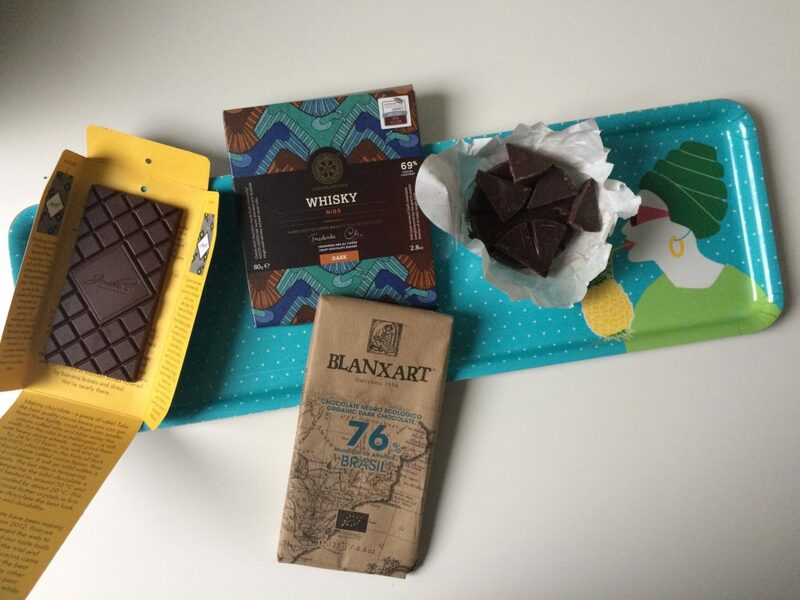 Eén van de mooiste repen uit de ‘Creativiteit’ box kwam van Mirzam, een bean-to-bar chocoladebedrijf uit Dubai. Kathy Lee is de CCO (Chief Chocolate Officer) bij Mirzam, en één van de drijvende krachten achter dit snel groeiende bedrijf. Tijd voor een vragenrondje! Hiya Kathy. 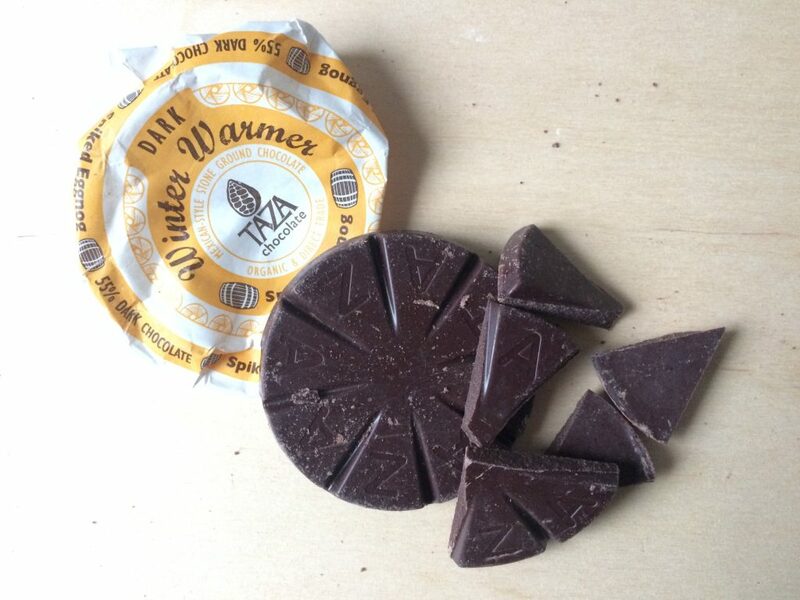 Could you first introduce Mirzam and pinpoint what you think sets you apart in the world of bean-to-bar chocolate? 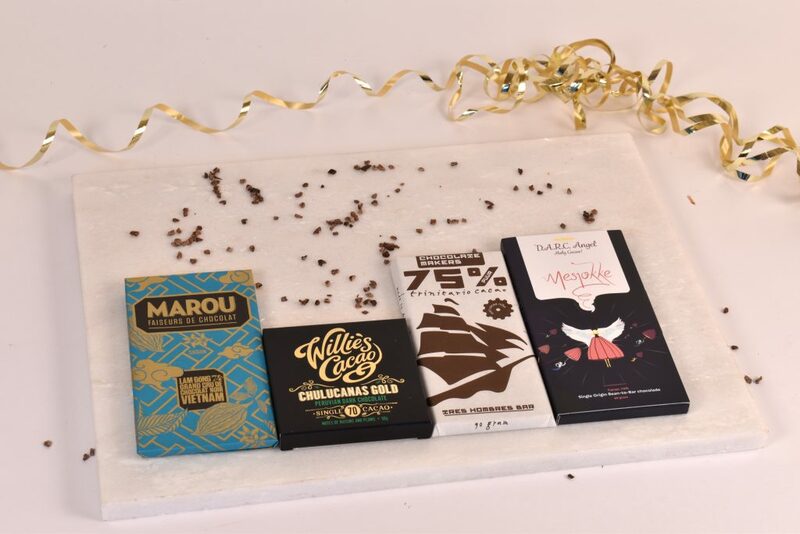 Mirzam was started in September 2016 – after years of research and obsession with chocolate, and the delicious process of seeing chocolate made from bean to bar. 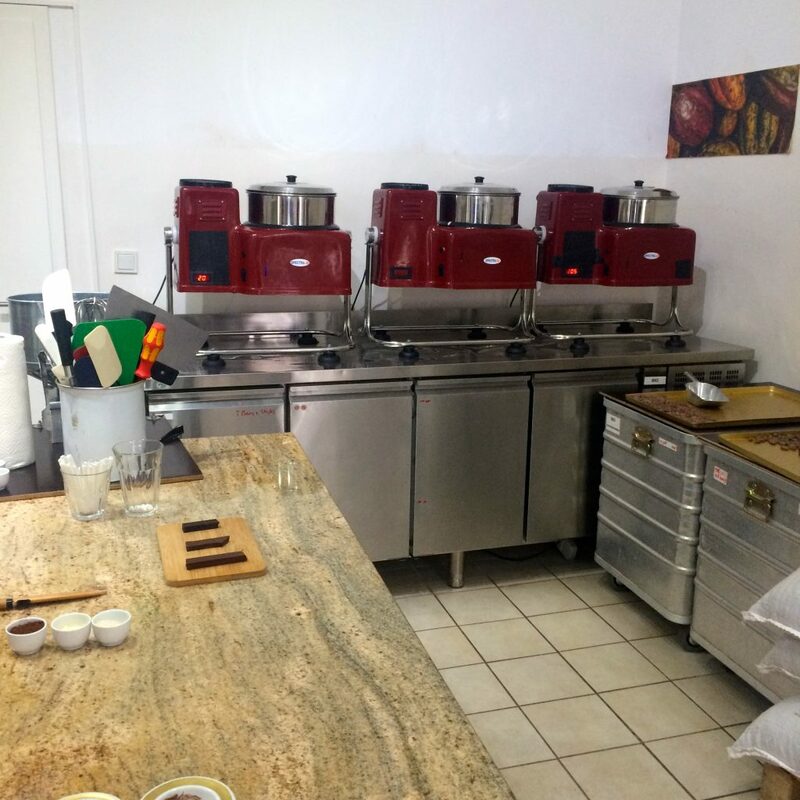 There are a couple of things which I believe have set Mirzam apart – the main one being one unique location in the Middle East, and using the historical spice trading route that ran through this region, to connect ourselves to the history of cacao in a way. 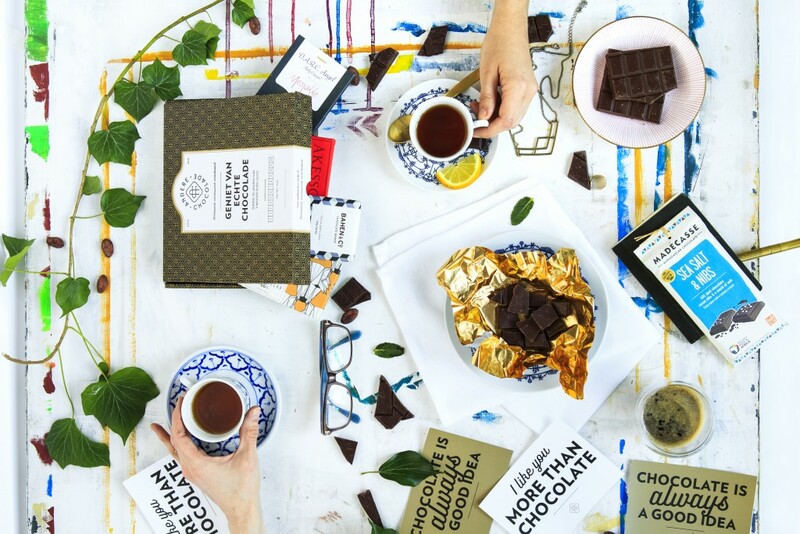 You’re located in Dubai, which most people know as a city surrounded by desert and soaring temperatures in summer, which makes it a surprising location for a chocolate company. How do you handle the heat? The heat is not actually the biggest challenge. Whenever I am asked how we handle the heat – I usually mention how challenging it must be in very cold places! 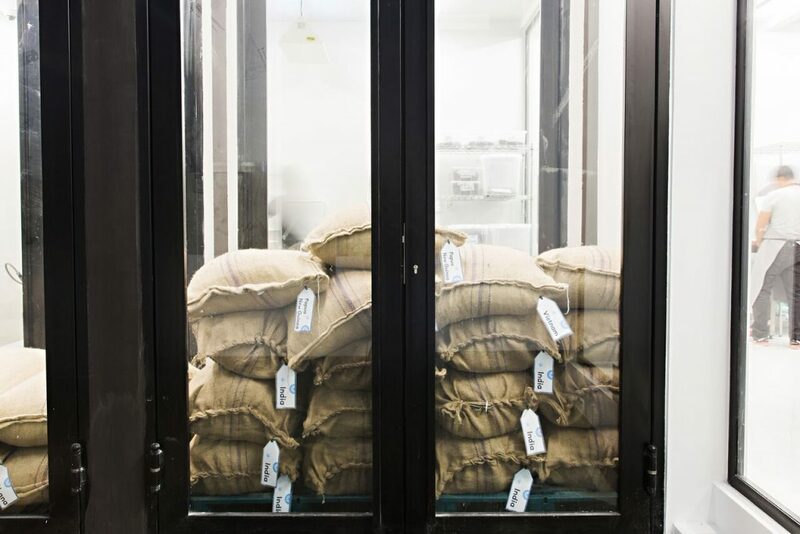 Humidity is a bigger challenge to overcome, and cacao bean logistics with that humidity means we need to be very cautious with our bean storage. There have been so many! 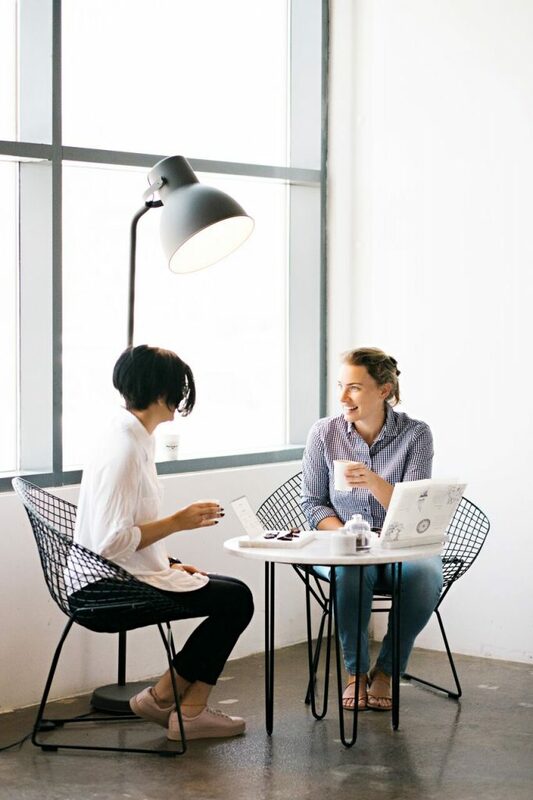 The biggest was probably our trip to Japan for the bean to bar summit – meeting people just as obsessed with chocolate making as we are in such an amazing city was really inspiring. How did you come up with the design for your packaging? 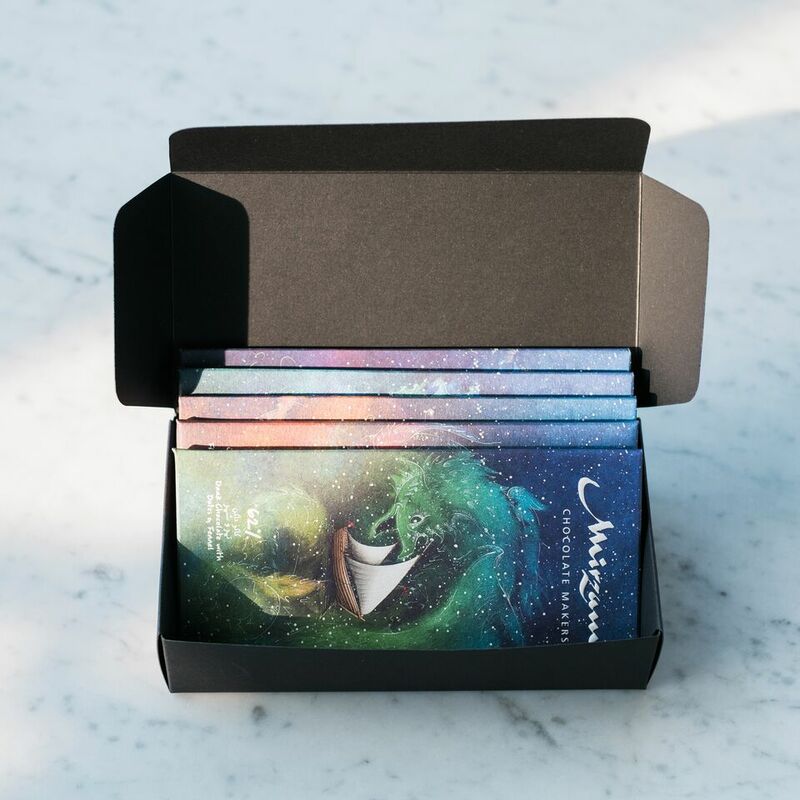 Our packaging is ‘dreamy’ in my opinion – with the watercolor galaxy scenes on each really enhancing the message of celestial navigation and the stories of the orient that we obsess about. 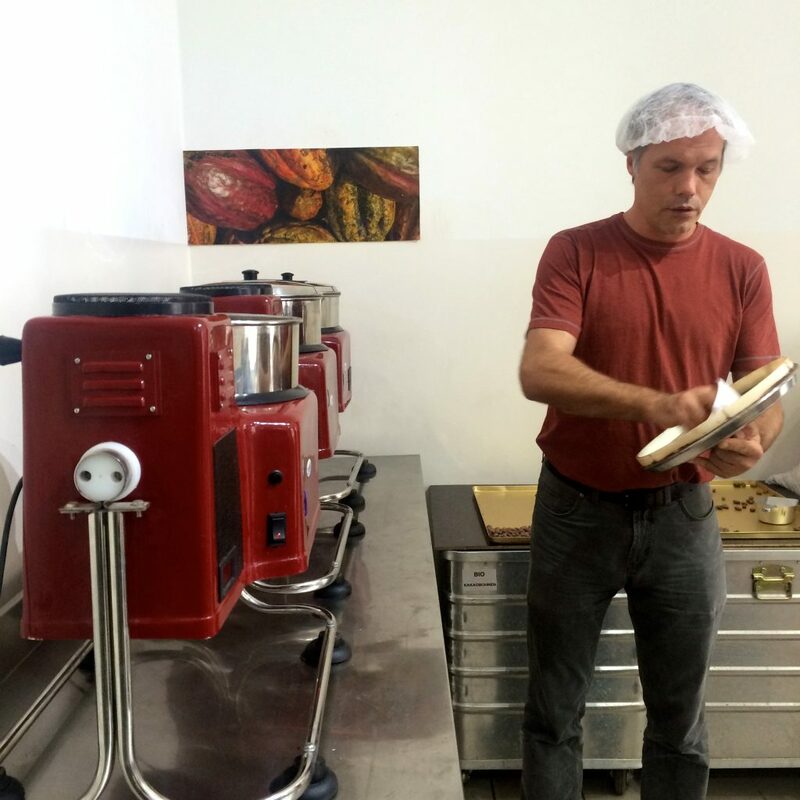 Let’s talk about beans, what are the things you find important when you are selecting a new cacao supplier? 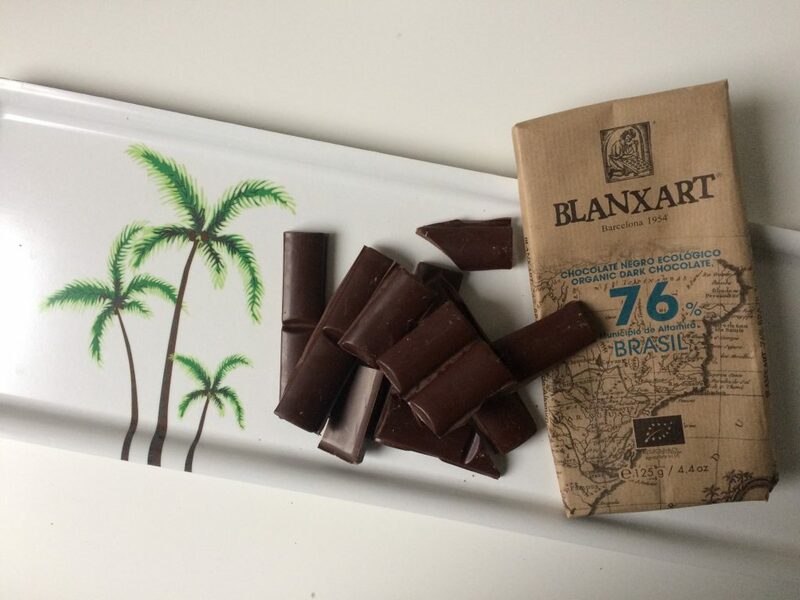 Of course, we start with the geographical location of the plantation – as we buy cacao from origins located along the maritime Spice Route, from the Middle east through to the tip of Japan. We then look for diverse, fine flavours, quality, and perfect fermentation. Also because the Middle East can not be super easy for logistics – we need suppliers who can offer support here. 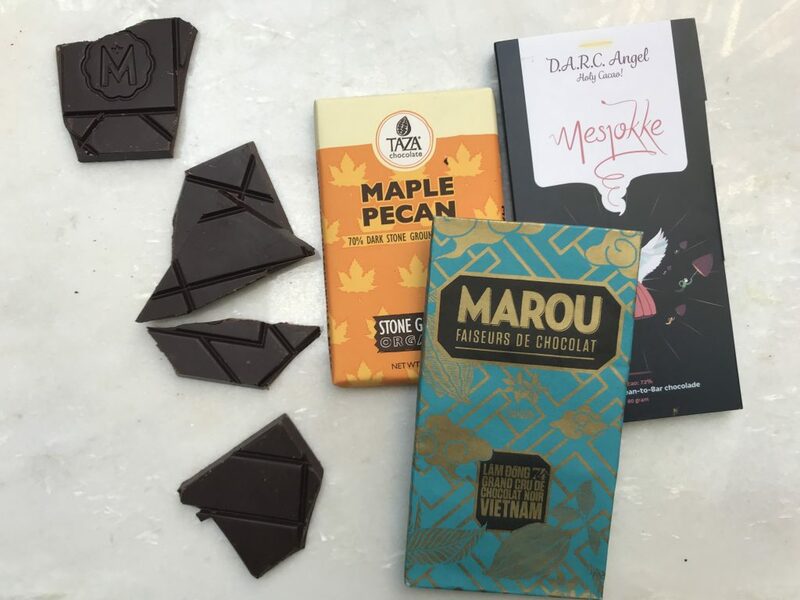 What do you think the future of bean-to-bar chocolate will look like? I hope that the industry as a whole grows, and more farmers are treated in such a way that they are encouraged and rewarded for growing the finest quality beans possible. I think as consumer awareness of the situation on many plantations improves – this can only drive more customers to make informed decisions. Finally, any exciting plans for the future? So many plans! Our Monsoon collection is coming soon – stay tuned! All photos provided by Mirzam. 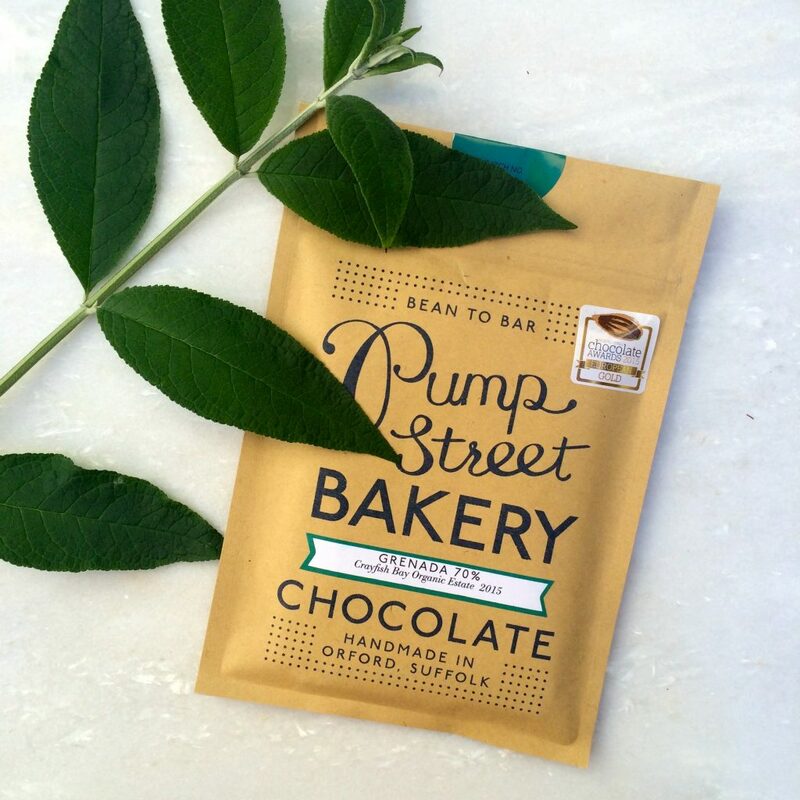 In de aprilbox genoten we naast Mirzam en La Naya, van een prachtige reep met zuurdesem van Pump Street Bakery. Deze bakkers / chocolademakers zijn nog maar kort bezig, maar door hun ongekende nieuwsgierigheid hebben ze al veel spannende (en prijswinnende!) chocolade gemaakt. Zelf uiteraard ook heel nieuwsgierig, mocht ik chocolademaker Rob Sledmore, een aantal vragen stellen. Hi Rob. I understand PSB has quite an interesting background. I’m curious, what made you expand from baking into making bean-to-bar chocolate? At Pump Street Bakery we have always focused on producing the highest quality sourdough bread possible. When it became apparent that cocoa beans are fermented in much the same natural way as the flour and water mix that is the basis of quality sourdough bread we were hooked. 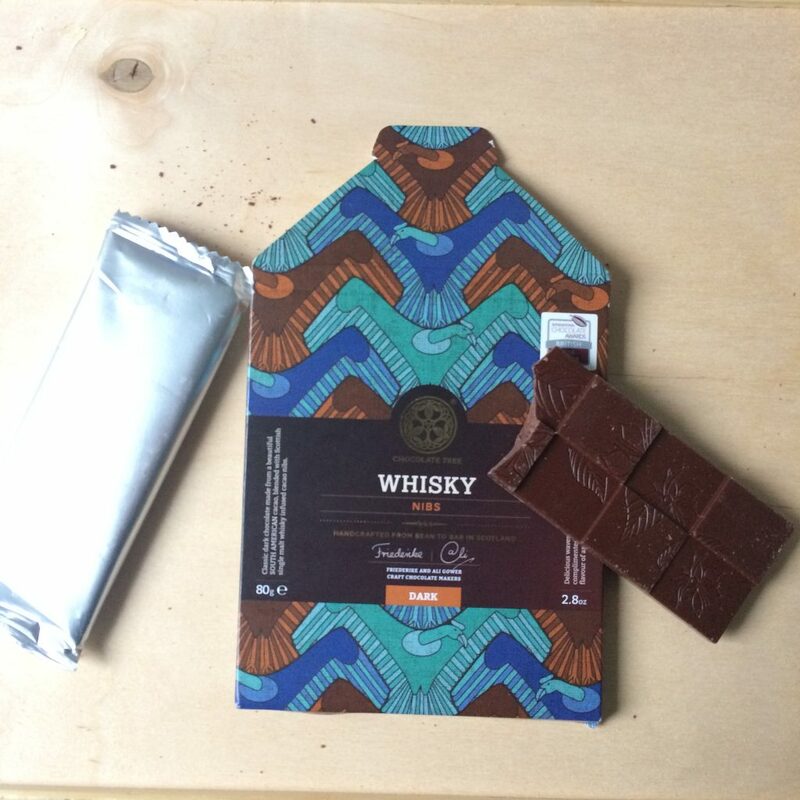 When we delved deeper we discovered that very little chocolate produced in the UK is actually made from the cocoa bean through to the finished bar. As this is the only way to really ensure the highest quality we decided to try and make it ourselves. It is also a lot of fun. 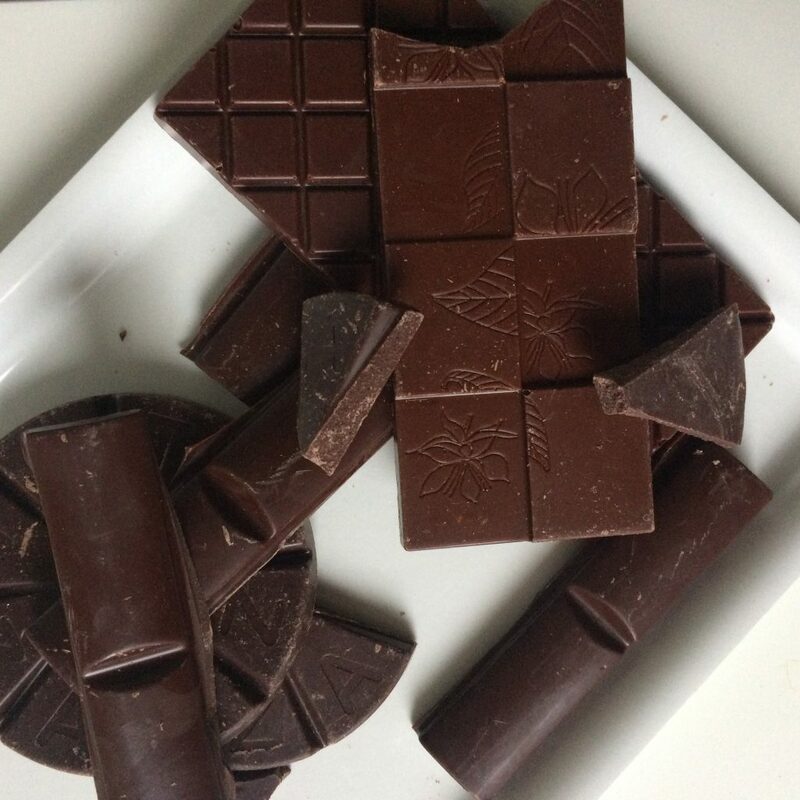 What aspect of chocolate making speaks to you most? 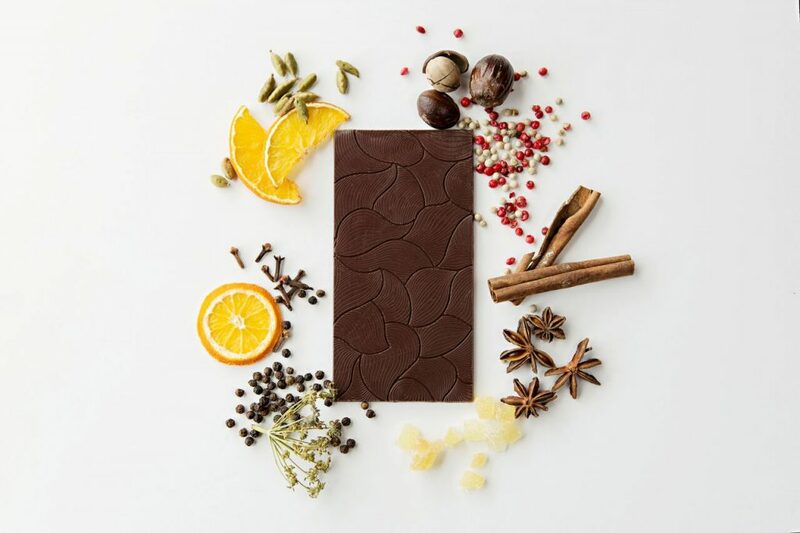 The amazing variety of flavours that are created using different origins of cocoa beans and nothing else. It is truly unbelievable how different cocoa bean genetics, county, region and farm terroir together with the post harvest practices of individual farmers can produce such a range of incredible flavours. Balancing this creation of natural flavour into making the highest quality chocolate possible is a wonderful challenge. One thing I receive many comments on from customers is your wonderful packaging, which really stands out from other brands. Was there a certain reasoning behind this? 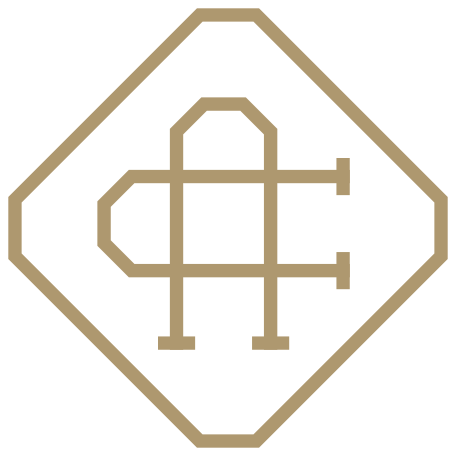 We wanted a distinctive packaging that reflected the heritage of our bakery and emphasised the quality of the chocolate. 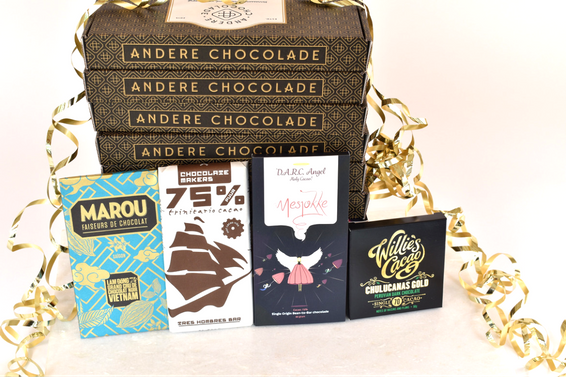 You only need one or two squares of our chocolate to get a cocoa fix so having a resealable pouch ensures that the chocolate stays in absolutely the best condition and the packaging integrity is maintained. How did you get the idea of combining sourdough and chocolate? 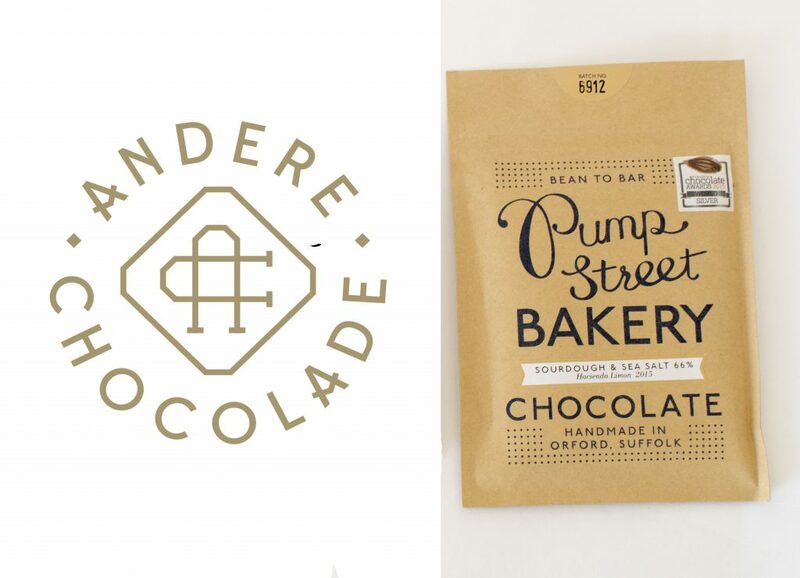 It was very easy to put our chocolate in our bread; we simply moulded chocolate batons and made pain au chocolate. The real challenge was how to do the same in reverse, put the bread in the chocolate. Our Sourdough bar was the answer to this riddle. Mission accomplished! 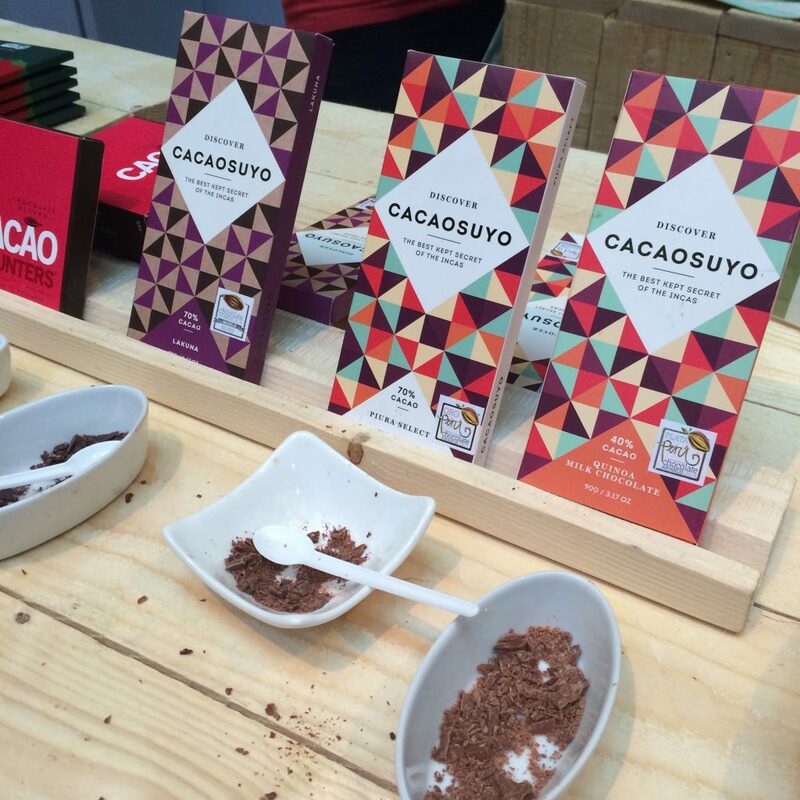 Talking about cacao, what are the things you find important when you are selecting a new cacao supplier? We insist on direct relationships with the farmers. We look for good cocoa bean genetics of heritage varietals, process driven fermentation (on farm where possible) and a sound bean drying infrastructure. The direct relationship is the key, we are constantly discussing how to improve the quality of the cocoa bean crops with the farmers we work with. 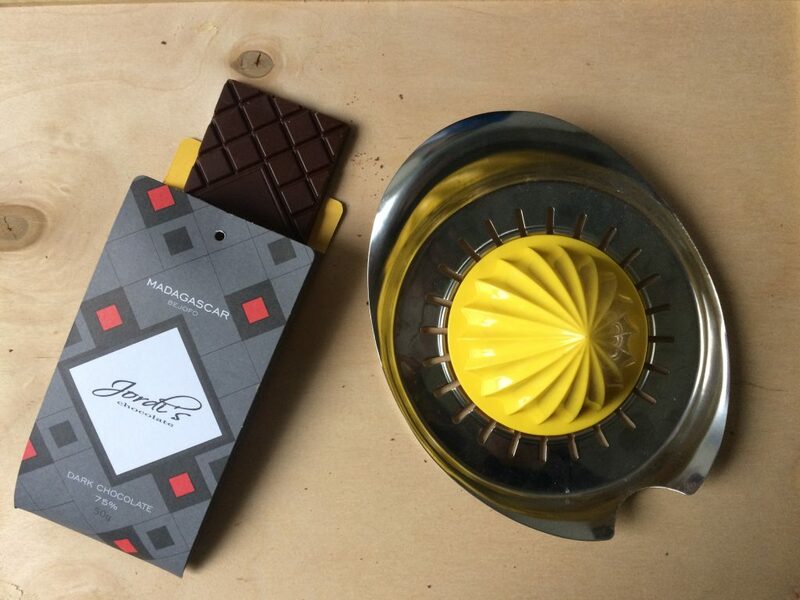 Finally, What do you think the future of bean-to-bar chocolate will look like? 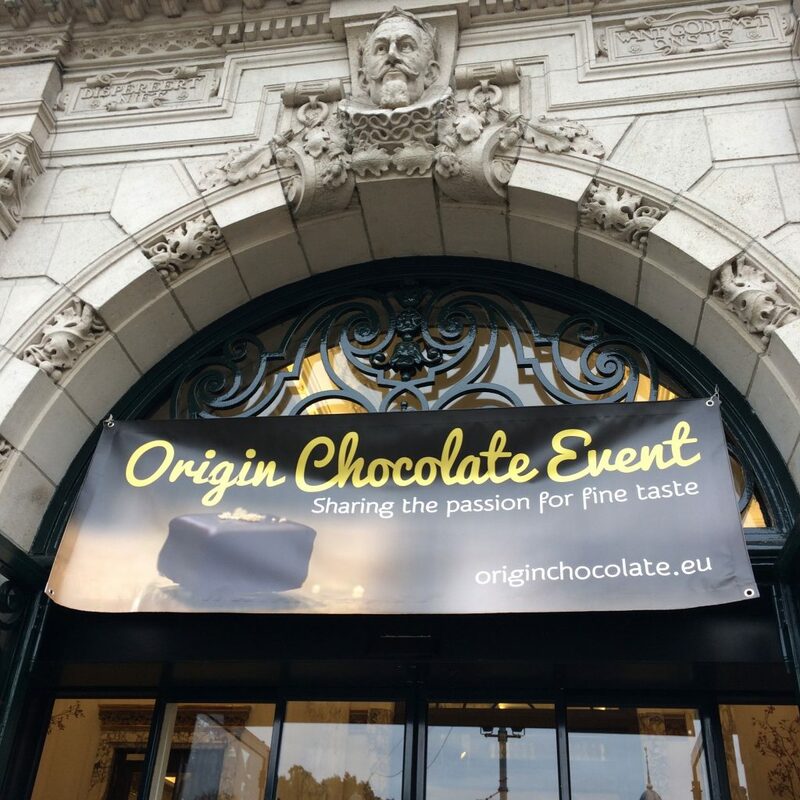 The chocolate market is vast and at the moment only a tiny fraction of that market understands high quality single origin chocolate. 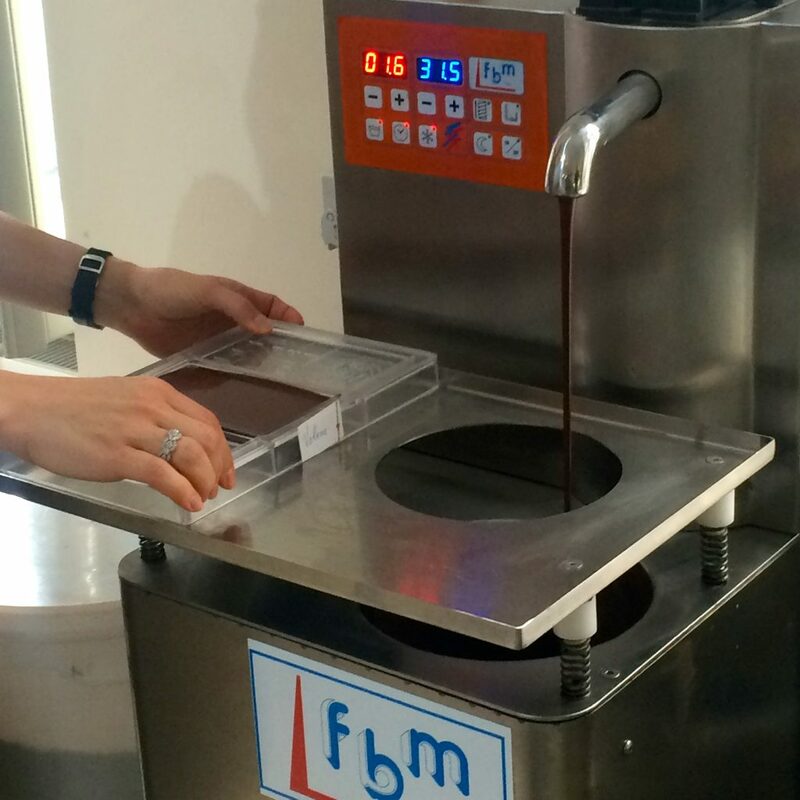 As knowledge and understanding of the delicious flavours that can be created by making good single origin chocolate spreads, the future for bean-to-bar chocolate is hugely positive. It has the potential to grow much in the same way as the single malt whisky market did in the1970s and 1980s and more recently the single origin coffee market has. 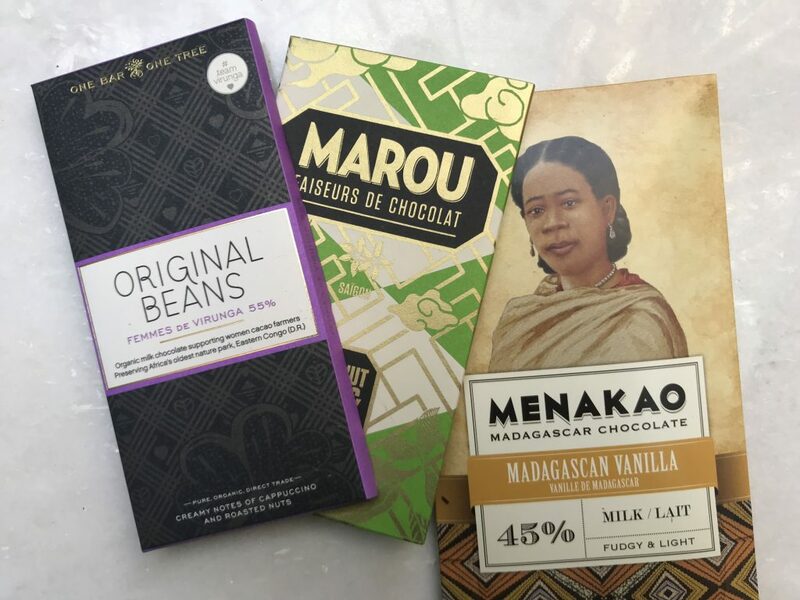 As bean-to-bar chocolate becomes more accessible it is important to remember though that the foundation of making quality chocolate relies upon the hard work of the farmers who grow the cocoa beans. Paying a higher price for this chocolate and making sure that the farmers in turn are directly receiving the price they deserve for the cocoa they grow is critically important. And do you have any exciting plans for Pump Street’s future? Lots, too many to expand on really. 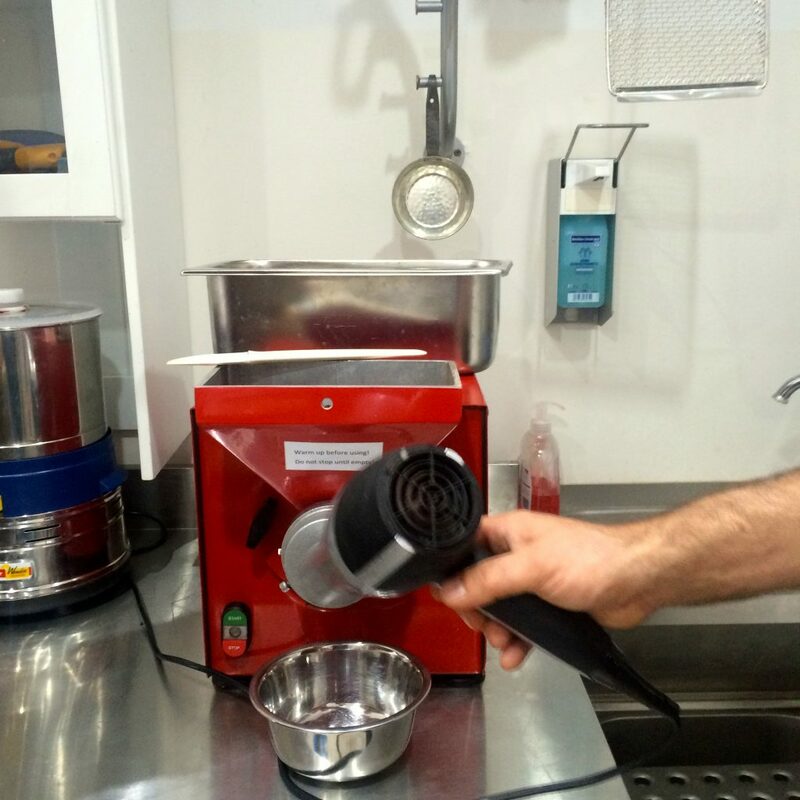 In the short term we have purchased a cocoa butter press so we will soon be able to make a range of single origin cocoa powders and cocoa butters, the latter will lead to single origin white chocolate. 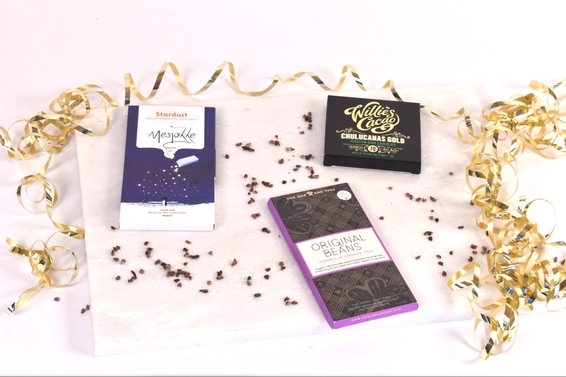 We have a number of other products planned for Christmas 2017 too alongside the addition of some exciting new origins of cocoa in the 70g bar range. We have also outgrown our current chocolate rooms so we hope to move to a larger space in the summer. Best of luck to you Rob, and the whole team at Pump Street. Deze limited edition box is in zeer beperkte oplage hier verkrijbaar. Op = helaas op! 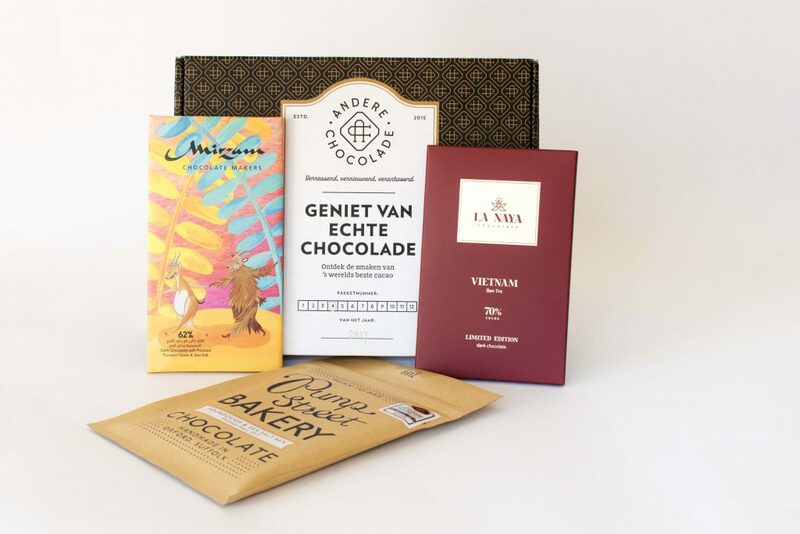 In de ‘Family Favourites’ chocoladebox vind je een reep van het Amerikaanse merk Taza. Deze ‘stone-ground Mexican Style’ chocolade is heerlijk om zo te eten, maar je kunt er ook fantastische warme chocolademelk mee maken. Hoe? Dat laat ik je graag in deze video zien! – ca. 300 ml melk, kan ook een plantaardige variant zijn. 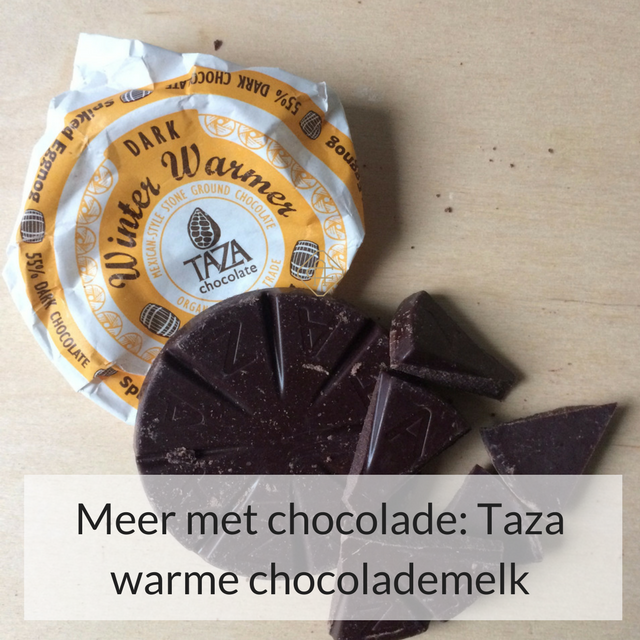 Haal 1 rondje taza uit de verpakking, en snijd de chocolade in kleine stukjes. Verwarm de melk in een steelpan tot het net niet kookt. Roer vervolgende de chocolade er door heen, en zet het gas weer aan. Vervolgens kun je een snuf zout en een snuf peper toevoegen. 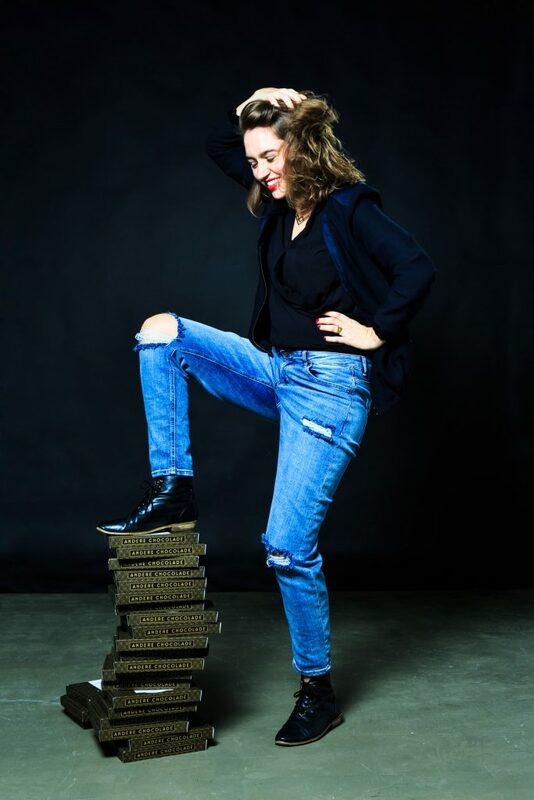 Of, als je van pittig houdt, een beetje chilipoeder. Verwarm de melk weer en klop dan met de garde tot er een schuimlaagje ontstaat. Haal het pannetje van het vuur, en schenk ik. Ga lekker zitten en geniet! 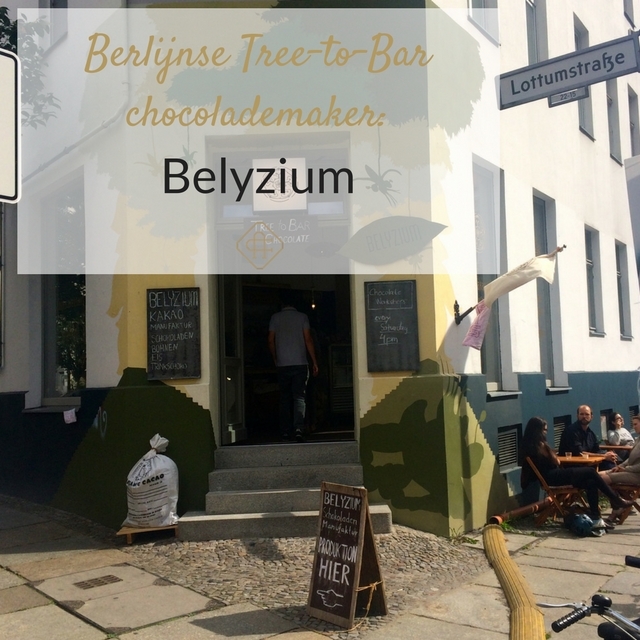 Aan het randje van de hippe Berlijnse wijk Prenzlauer Berg vind je Belyzium; een tree-to-bar chocolademaker. 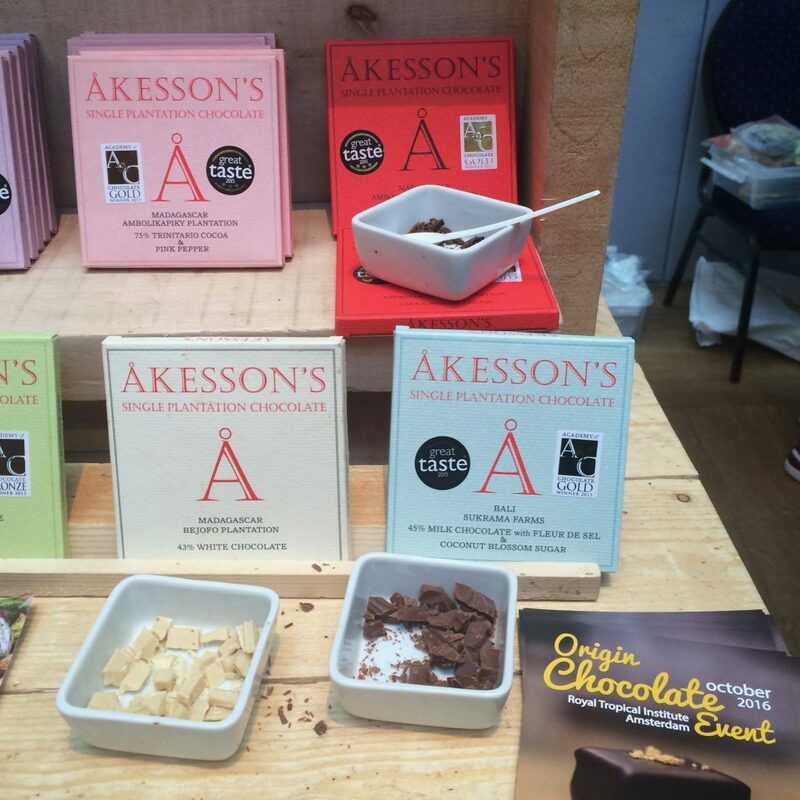 Iedere zaterdagmiddag geeft eigenaar Andrei Shibkov hier een workshop en vertelt honderduit over zijn cacao- en chocoladebedrijf. Naast het hele productieproces zien (en een klein beetje meehelpen), mag je tijdens de workshop ook een paar van de bijzondere creaties van Belyzium proeven. 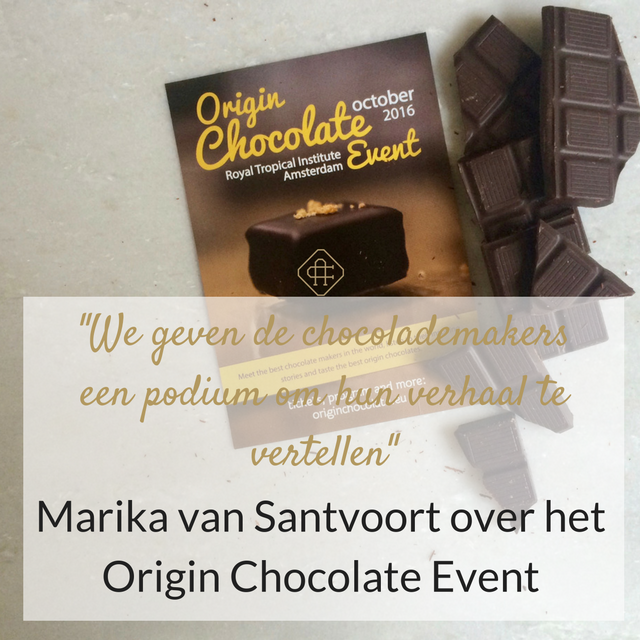 Waar bean-to-bar makers chocolade maken van de cacao die zij inkopen, gaan tree-to-bar makers nog een stap verder. Zij hebben een nog groter gedeelte van de keten in de hand, namelijk vanaf het moment dat de cacao aan de boom groeit tot het moment dat de chocoladereep verpakt wordt. 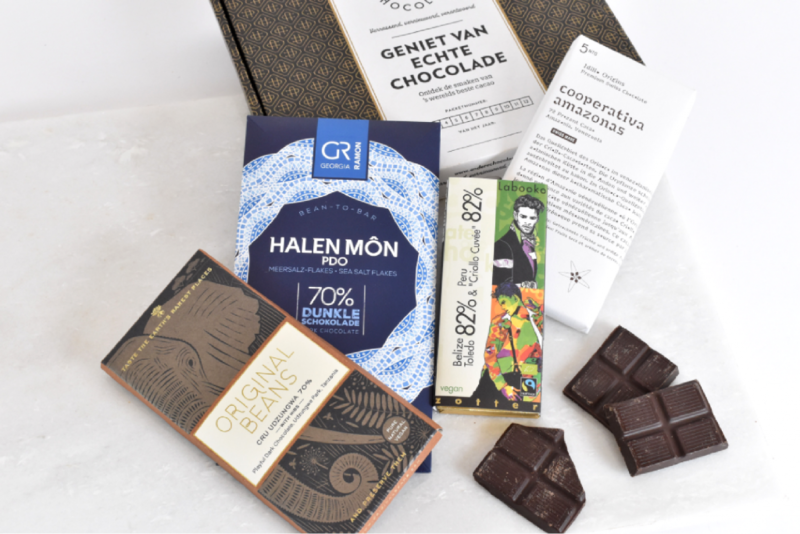 Een ander facet wat Belyzium bijzonder maakt is dat zij uitsluitend werken met cacao uit Belize. 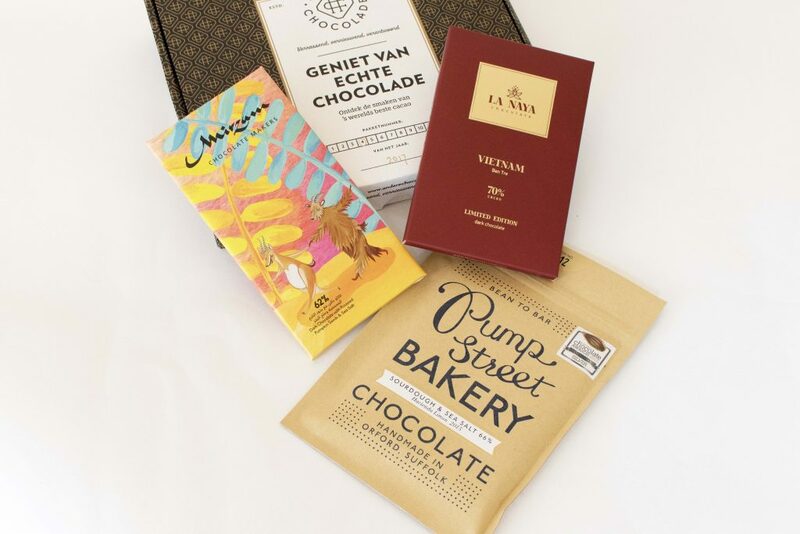 Waar veel chocolademakers kiezen voor een breed assortiment gemaakt van cacao uit verschillende landen, gaat Belyzium juist de diepte in. Ze experimenteren met verschillende suikers, manieren van fermenteren en het wel of niet tempereren. Het resultaat is verrassend verschillend, wetende dat de oorsprong toch echt dezelfde cacao is. Onder het genot van een kopje cacaothee (lékker..!) vertelt Andrei geanimeerd over de plantage in Belize, en hoe belangrijk het fermentatieproces is wat daar plaats vindt. Om de gehele reis van boom tot reep te kunnen zien hadden we natuurlijk eigenlijk de workshop in Belize moeten starten. Maar Andrei heeft genoeg filmmateriaal om je toch een idee te geven hoe het er aan toe gaat in de tropen. De werkruimte of ‘fabriek’ van Belyzium is niet groot, maar hij is slim ingericht. De gedroogde bonen liggen in grote jute zakken klaar, om verder verwerkt te worden. Het chocolade maakproces wordt stap voor stap uitgelegd. Zo krijg je oven te zien waar de bonen eerst geroosterd worden, en mag je zelf een handje bonen door de cracker halen, om de cacaobonen te breken. Vervolgens gaat (net als in de Mesjokke chocoladefabriek) de stofzuiger aan, om de vliesjes en de nibs van elkaar te scheiden. Andreij laat trots de pinda vermaler zien waar de nibs vervolgens door heen gaan. Om de machine goed te laten werken moet hij eerst voor verwarmd worden met een föhn. “Look, this is magic” glundert Andreij, terwijl de nibs vermaald worden tot een chocoladepasta. Deze pasta gaat daarna in de melangeurs, waar de cacao verder vermalen wordt tot chocolade. Belyzium is duidelijk een micro batch maker, 3 kleine melangeurs staan elke dag de gehele dag te malen, maar tijdens de workshop wordt er een melangeur heel even stopgezet om het binnenwerk van deze machine goed te kunnen bekijken, en de warme vermalen chocolade te proeven. Tenslotte wordt de chocolade getempereerd en gegoten, en hier mag je als chocolademaker-voor-één-middag je eigen reep gieten. Een pot beliziaanse chili en zout wordt tevoorschijn gehaald om optioneel er over heen te sprenkelen. Aan het einde van de workshop heb je een hoofd vol indrukken en een heerlijke reep (mét je naam erop) om mee naar huis te nemen. 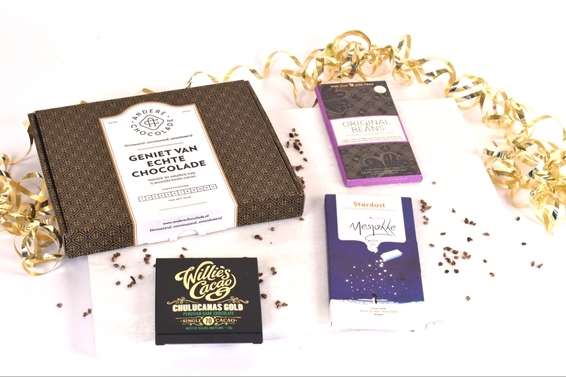 Altijd al eens in een chocoladefabriek(je) willen kijken? Dan is deze workshop echt een aanrader. 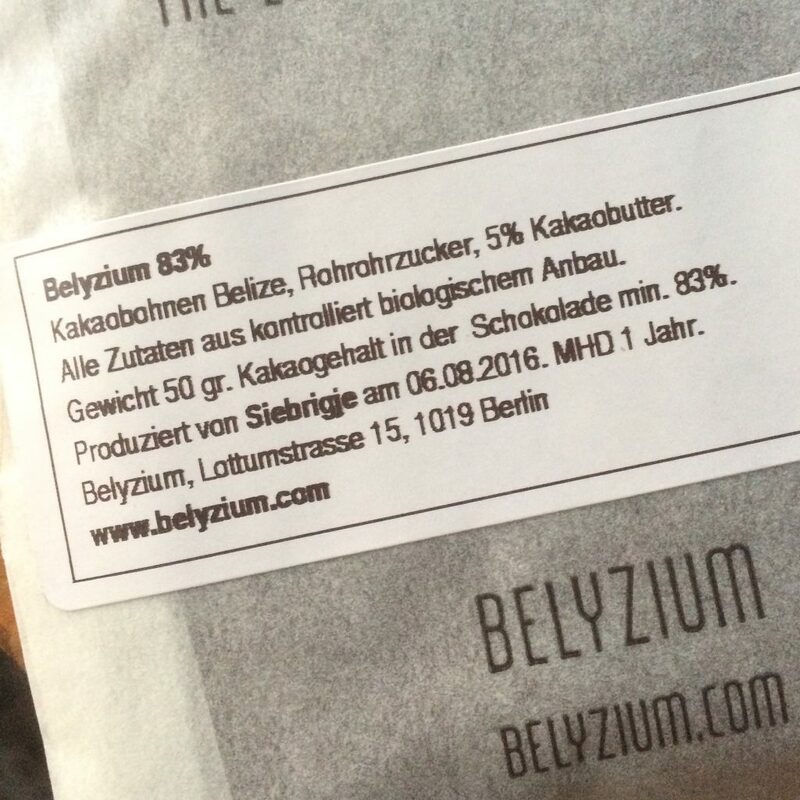 Je vindt Belyzium op de Lottumstraße 15 in Berlijn zijn. Houd de website in de gaten voor de precieze data dat je er terecht kunt. Benieuwd naar de cacaothee? 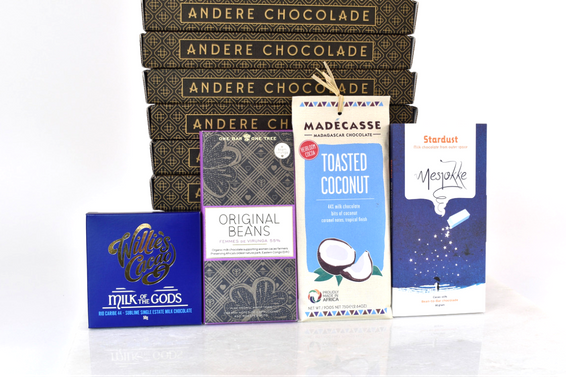 Doe mee aan de winactie op de facebook pagina van Andere Chocolade. 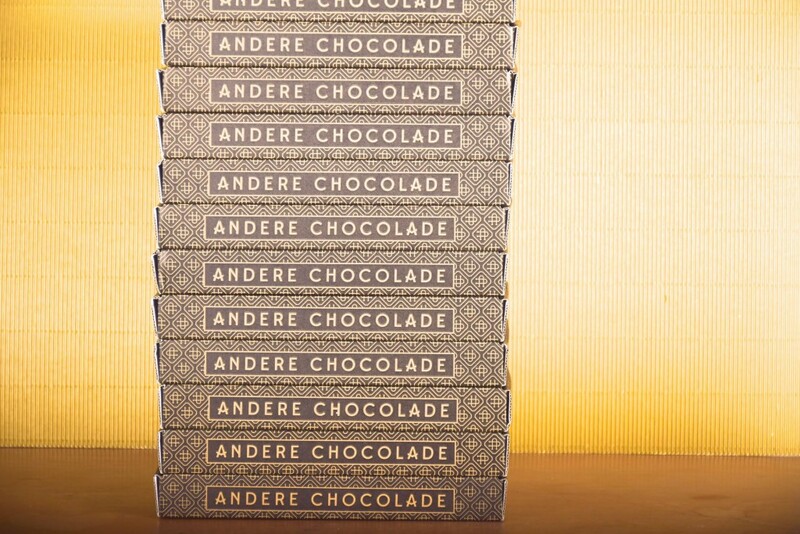 Maak een reis door de Schokolade landen Duitsland, Zwitserland en Oostenrijk.